Juan Miranda: Not “a bank.” *The bank! * The most beautiful, wonderful, fantastic, gorgeous, magnificent bank in the whole world! When you stand before the bank and you see it has the gates of gold, like it was the gates of heaven. And when you go inside, everything, *everything* is gold! Gold spittoons, gold handles, and money, money, money is everywhere. And you know, I know ‘cause I saw this when I was eight years old. I went there with my father. He tried to rob the bank, but they caught him. But they will never catch me, eh, Papa? 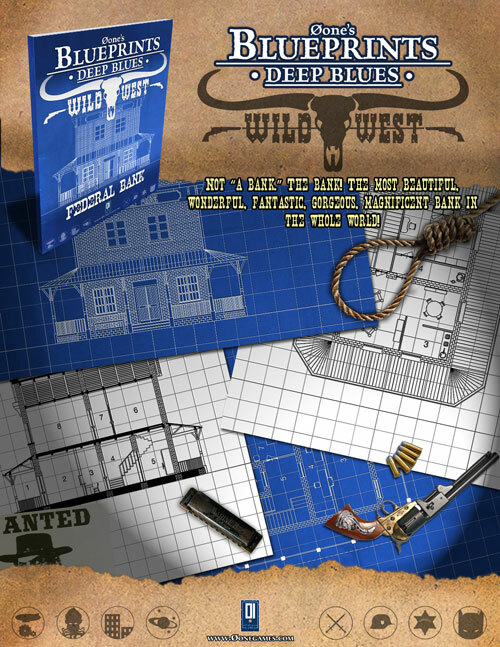 What is a wild west game without a bank to rob? Another iconic old west location for your adventures is here. 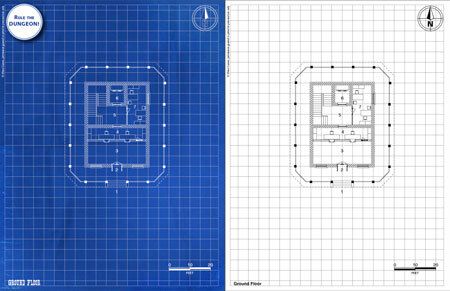 In this Blueprint you will find floorplans, sections and front view of a classic western federal bank.